Sponsored by Bridgestone Americas, Inc.
with that section so I jumped at the chance to do it. the memorial service on the day of the cleanup. But we decided to go ahead anyway. us a grant anyway. THANK YOU!!! 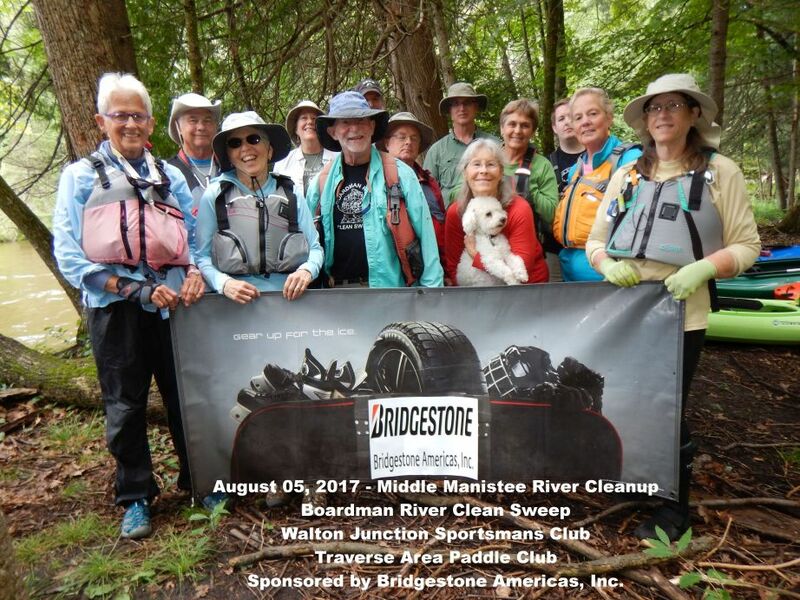 Bridgestone Americas, Inc.
for lunch then joined us in their canoe to help do the cleanup. shuttle for us so all our cars were there at the end when we got there. out of the river without a mishap. I want to thank everyone who so cheerfully worked on this first time project.